Hi everyone! I’m Sophiemay of Sophiemayde (get it? ), I do a bunch of things from embroideries, to portrait stitches, to illustrations, to lettering. I love being able to be creative in pretty much any medium I can! 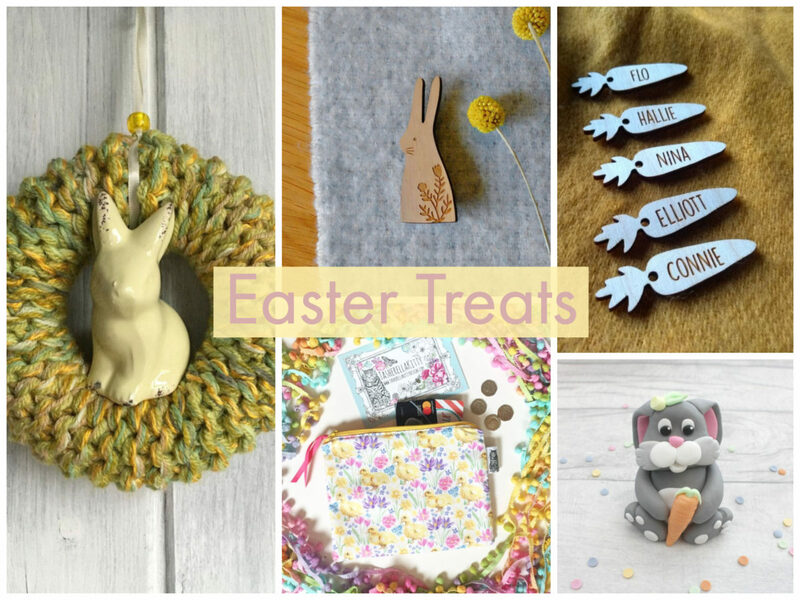 I’ve been given the opportunity to put together a list of all the excellent Easter Treats my fellow Etsy Manchester teamies have to offer. Easter for me is all about chocolate, bunnies and lovely colourful flowers, so I’ve put together all things Easter but it’s also heavy on these particular aspects of what I associate Easter with! 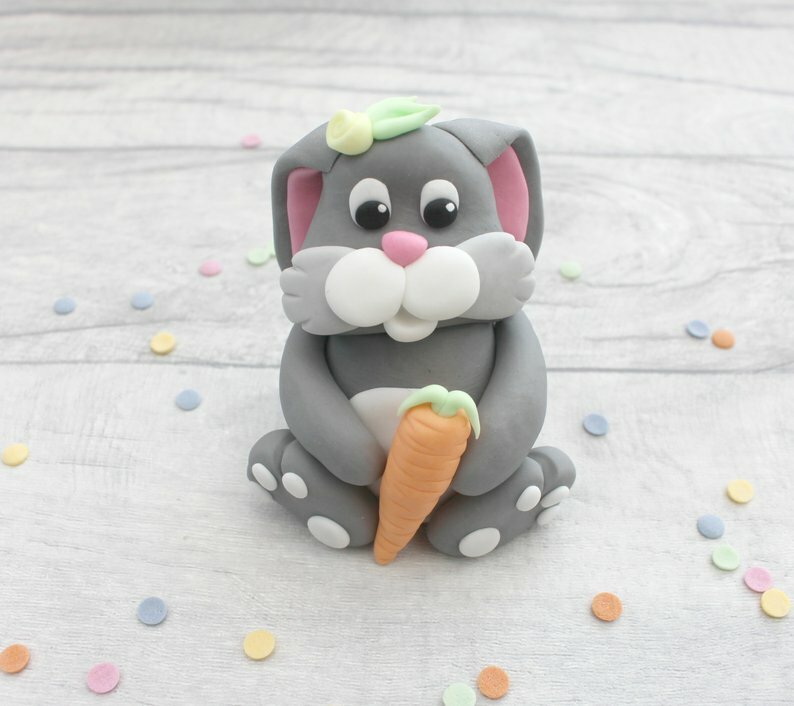 What better way to kick this off than an edible Bunny cake topper by MariesBakehouse? How perfect would this look on a delicious carrot cake? 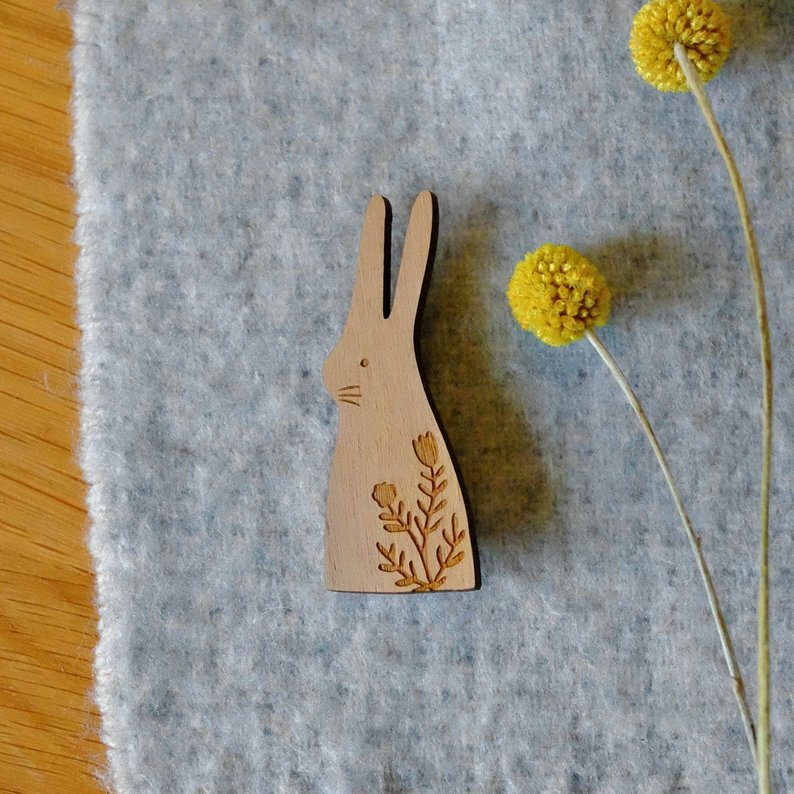 If you happen to love brooches and pins as much as me, then you’ll love this Wooden Hare Brooch by stephaniecoleDESIGN. The perfect combination of bunnies and flowers in one adorable package. How can you go wrong with combining fudge and mini eggs? You can’t. 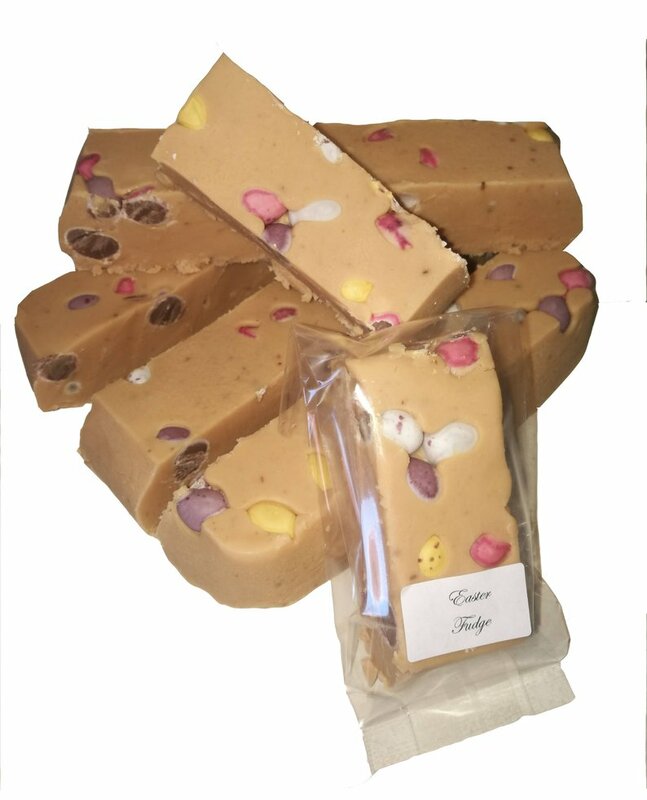 You can get your very own Easter Fudge by SugarChicFudgeToffee and have an amazing post-Easter dinner sweet snack. 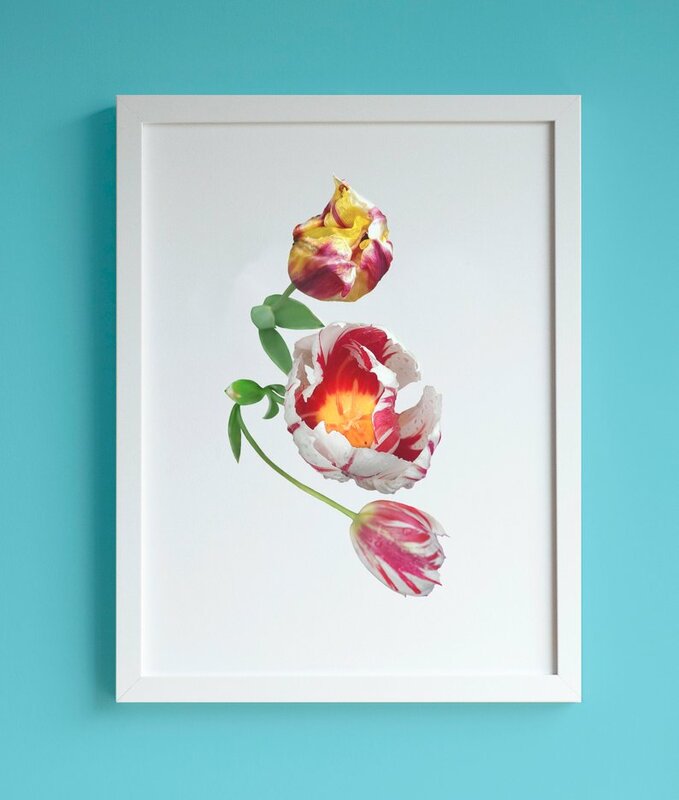 Tulips are one of my favourite flowers, and this print by HelenaLeeStudios is just stunning! 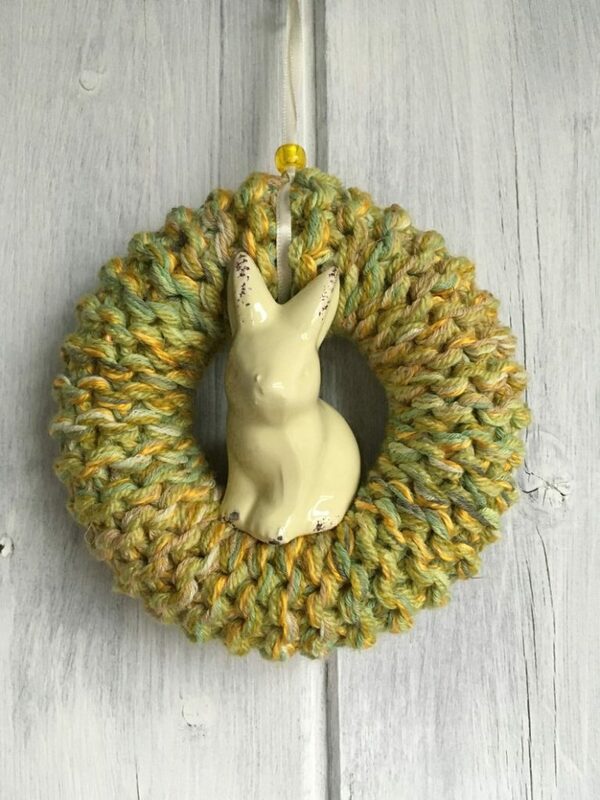 Wreaths are the perfect all year round decoration, and this Knitted Easter one from ClairTdesigns is the perfect Easter decoration. Having people over for Easter dinner? Want to get adorable and personalised treats? TailoredChocolates has got you covered with these Easter Peekaboo tins. 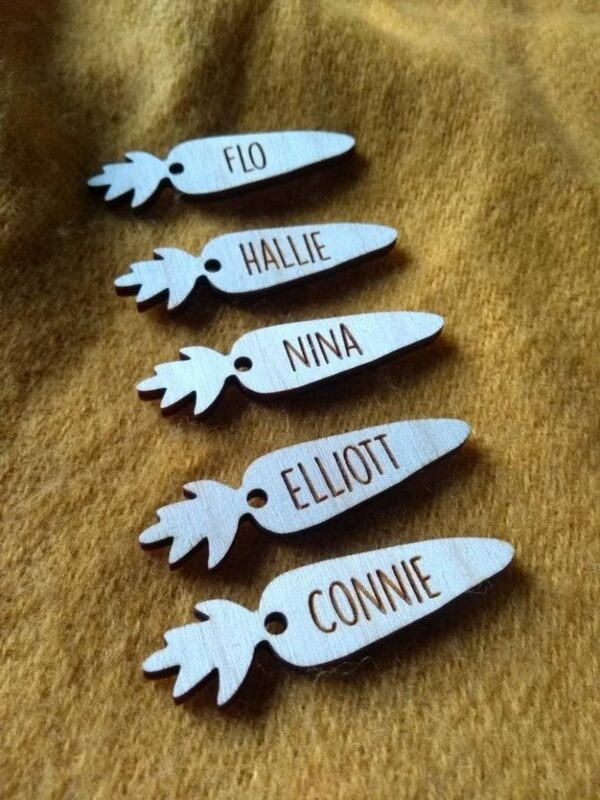 Looking for a cute, but still Easter-related tag to add to your Easter gifts? 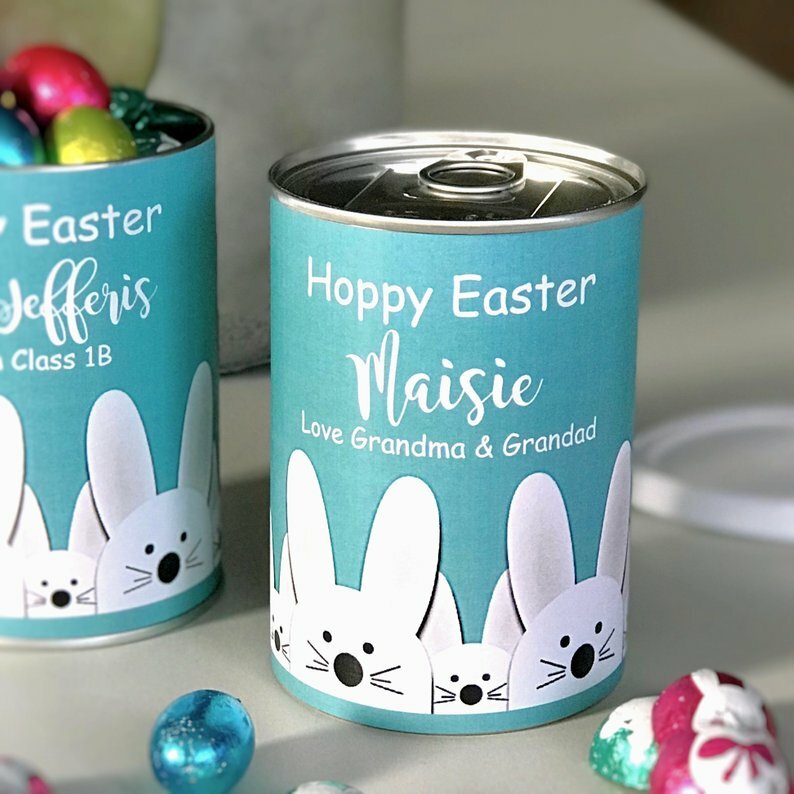 JanewayLasers has the perfect Wooden Carrot Labels, and you can choose to have them blank, personalised with names or with “Happy Easter” for that extra finishing touch. Enjoy a good pun? Who doesn’t! 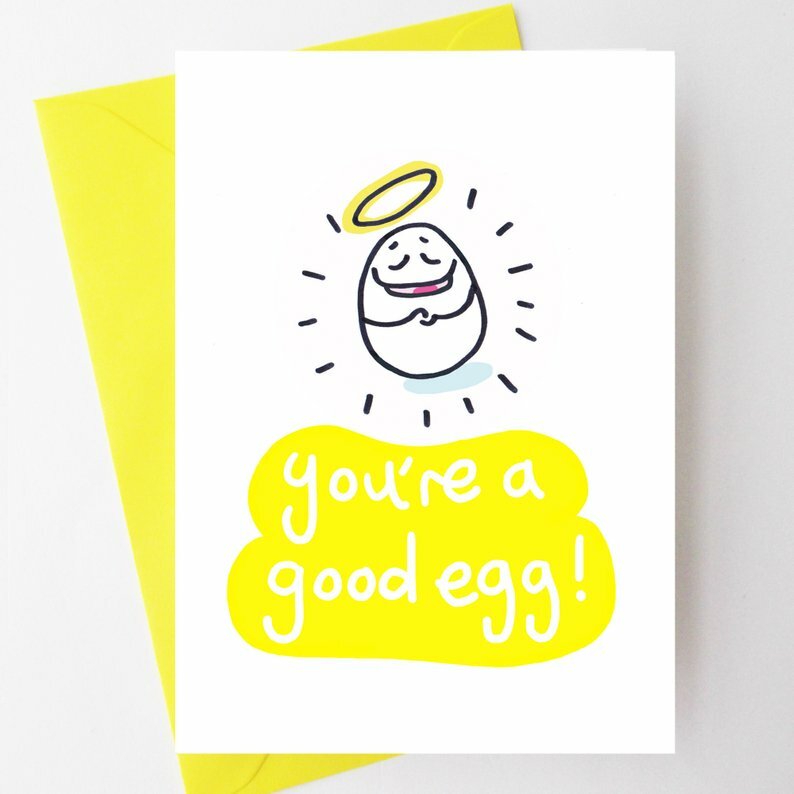 Doodlesworth has you covered for Easter cards with this Good Egg Card. Looking for a cute, yet functional gift to give this Easter? 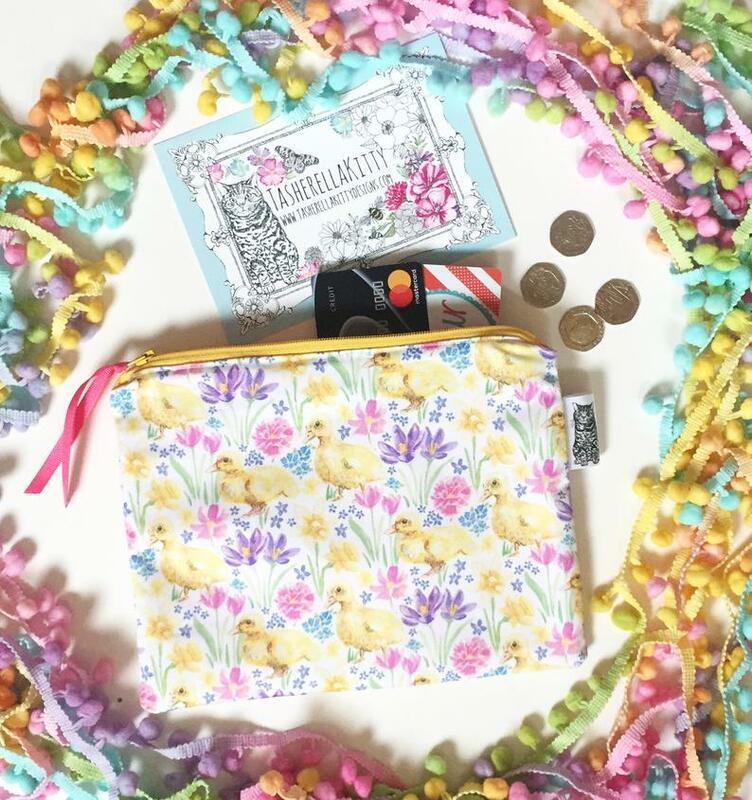 TasherellaKitty has the cutest Handmade Zip Pouch, complete with adorable duckling and floral pattern. 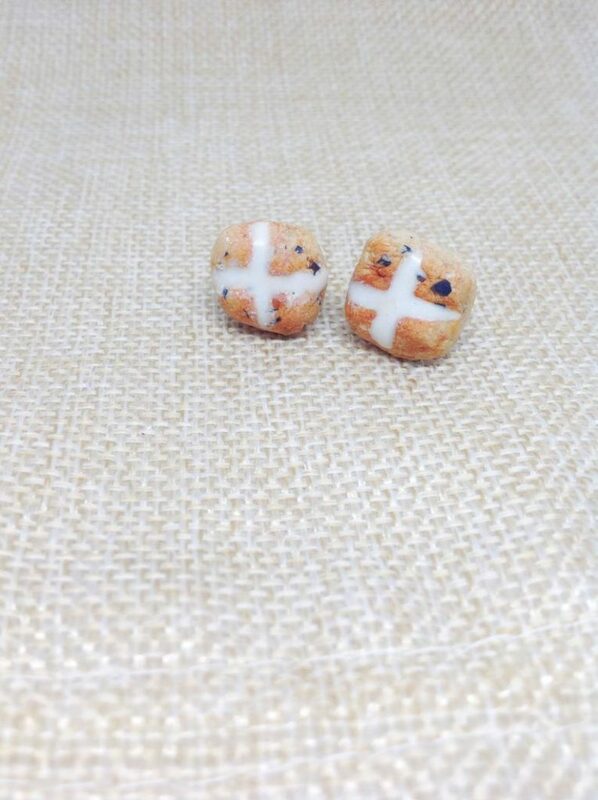 For the those that like hot cross buns, and adorable food based jewellery, MarysJewelleryBakery has you covered with these Kawaii Polymer Clay Hot Cross Bun earrings (and for those without pierced ears, there’s hot cross bun necklaces too!). The perfect addition to an Easter dinner outfit. Our thanks to Sophiemay for her fab picks! If you’re looking for more gift ideas, why not take a peek at some of our other EtsyMCR Gift Guides?